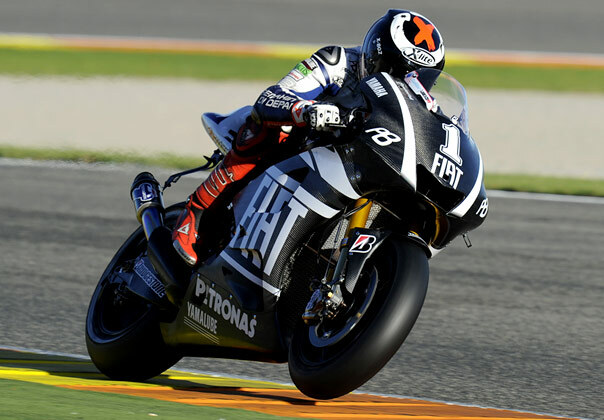 Lorenzo Interview - race | Yamaha Motor Co., Ltd.
Jorge Lorenzo reviews his MotoGP 2010 season. Lorenzo Interview | The best time of my life! Well, guys, this is my first time talking to you as a MotoGP World Champion and I have to say it feels good! I want to start by saying thank you to everybody who has congratulated me since Malaysia. The past month has been the best of my life, the moment I have been waiting for and working towards since I first threw my little legs over a motorcycle at three years of age. MotoGP World Champion... it still sounds unbelievable to hear these words and even better to write them. I would like to personally thank everybody at Yamaha but especially my wonderful team: Juanito, Wilco, Ramon, Javi, Bibbo, Walter, Davide, Suchan, Moriyama, Ogata, Patrick, Peter, Nakajima-san and in particular Lin Jarvis. I also want to thank YOU, everybody who is reading this – I don't know your names but I know that you have been there all season, supporting Yamaha and supporting me. More than anyone, though, this title is dedicated to Shoya Tomizawa. It is his as much as it is mine. Looking back to the start of the year, after the injury in the preseason we had some doubts. I thought it was going to be tough, very tough. But we came to Qatar and after a big fight back I was able to finish second, which was a fantastic result for me. 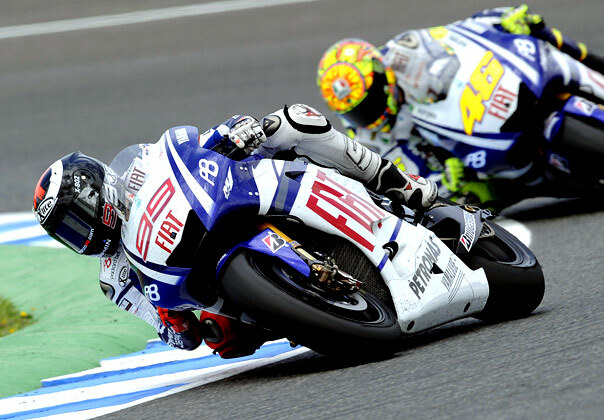 Jerez was an unbelievable race and after that we got to Le Mans and everything went perfectly. This was the moment when I realised that this could be my year. I thought that if I didn't make any mistakes, stayed constant and calm, it could be a good year for me. We took five wins from the next six races up to Brno and after that our objectives changed. From there we just had to play it safe, keep finishing on the podium but without taking any silly risks. When we finally got to Malaysia it was a difficult week for me because I had the opportunity to win the title and I didn't want to wait any longer. I was so desperate to make it safe and wrap up the championship and Sunday couldn't come quickly enough for me. I had to stay calm and not make mistakes. I started the race well, I didn't lose any positions but then Andrea and Valentino came past me and I wasn't riding as well as I could have, so I didn't want to push too much. The perfect situation would have been to win, but it wasn't to be this time – there were too many risks; it was better to wait until the end of the race and thankfully I made it to the chequered flag. You imagine the moment in your head your whole life but when it comes you don't know how to act or what to say. To be honest, looking back on it now I felt a little cold when I crossed the line. In my head and in my dreams I had imagined this moment to be much more exciting and more emotional, I thought I would feel more happiness. So the moment itself was not as good as I thought it would be but then the feelings afterwards were better than I ever imagined. We had a wonderful party in Kuala Lumpur with all the team, as well as many friends and other riders from the paddock, like Toni Elias and Thomas Luthi. That was the best party of my life! After the next race in Australia, when Casey was unbeatable, we went back to my homeland in Mallorca and I saw my father for the first time. This was the first time I cried. I remembered all the tough times and also good times I had spent together with him. Now after so many years we could celebrate the maximum we could have ever achieved. It was amazing how many people met me at the airport – there were literally thousands there and they joined me for a parade through the capital city of Palma de Mallorca, ending at the Illes Balears Presidential Palace. I presented one of my special 'Astronaut' helmets to President Frances Antich and then I was joined by my family on the palace balcony to wave to the thousands of people below, who joined together in a rendition of 'We Are The Champions.' It was a really unforgettable moment. After that we went to Estoril and I thought to myself that it had been a while since we had won a race. In fact, we hadn't won since Brno in August because we had other priorities so it was long overdue. We went into the race a little blind because of the bad weather during practice but Ramon and my crew did a fantastic job to get a good setting for the bike, especially in the second half of the race, and I was able to ride 'free.' Portugal has been a special place for me since I moved up to MotoGP – I feel comfortable there I find it easy to go fast on my M1. We went for the same helmet as last year (the astronaut) and we decided to go for the same setting too, which was a bit of a risk. Like I say, it worked out perfectly and I was happy to be able to win the race for Juanito Llansa, who has been my trusted mechanic throughout my career but could not be there for the first time because of a family problem. I also had unfinished business at Valencia, where I had never won in my career. I knew a victory would guarantee the all-time points record so I was keen to go for it from the outset. In the practices I was fast all weekend but it seemed like Casey was even faster. I made a good start but in the second corner trying to pass Casey I got overtaken by three or four riders, then I had a hard fight with Simoncelli when I nearly fell! I kept calm after that and concentrated and then lap-by-lap I recovered. We are proud to have got the record for the most number of points with 383 because I used to be known as a crazy rider who crashed too much so to demonstrate consistency in this way proves something, I think. Winning in front of my home crowd at this special track was one of the happiest moments of my life but if I had to pick the three best races from the season I would say the number one was Jerez, because it was the first time I won there in MotoGP and it's maybe the best place to win a race. Plus I enjoyed my jump in the lake! Silverstone was maybe the best race I made in terms of my riding, because I was aggressive and fast and I don't think I made a single mistake. Then finally Malaysia, not for the riding but for the importance of the result and for the World Championship, of course. When I think back over my life we have come such a long way; some things happen very slowly in your career and some very fast. When I started in the World Championship I was almost last in the 125 class but in only eight years I have become MotoGP World Champion. It's incredible how life can change. We have fought so hard for this but I've been fortunate because I've had good luck, good bikes and good teams. I've always been surrounded by people who want the best for me and I am very grateful for this. Some people have said that my title does not have much value because Valentino was injured and missing for three races, also Dani. My answer to this is that Mick Doohan wasn't there either! Wayne Rainey and Kevin Schwantz, Giacomo Agostini and Freddie Spencer... none of them were there so maybe those people have a point – the title has no value! Joking aside, it is true that Valentino and Dani have been unlucky this year and for sure I would have preferred to have won the title with these two guys on the track at every race but at the end of the day I set a new points record for MotoGP and to me that means something. Luckily we have more seasons ahead of us to see if I can win it again or whether it is only a question of one year. Maybe then the doubters will be happy. Now I am looking forward to a break and maybe even a holiday on a tropical island somewhere. The future will be tough and exciting, with giants for rivals, but I can't wait to get started again in 2011.